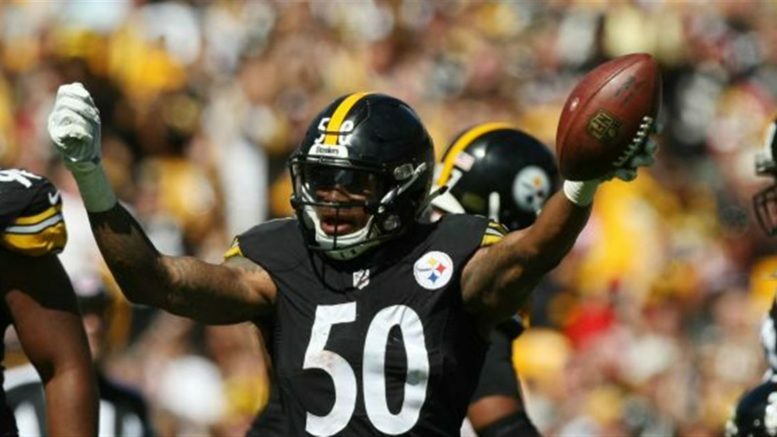 Ryan Shazier and the Steelers defense has been hot of late, holding opponents to 17.3 points per game during the team's seven-game winning streak. Okay, so if you’re wondering how home teams with inferior records fare in wild card games since realignment to four-team divisions in 2002, it’s a 50-50 proposition. It’s happened 20 times, with the team with fewer wins winning exactly 10 of those games. Houston was on the wrong end of things in 2015, getting blasted, 30-0, at home by the Chiefs. But this Raiders team is reeling, to say the least. Say what you want about how poorly Brock Osweiler has performed in his first year with Houston, I guarantee you it won’t be any worse than rookie Connor Cook on Saturday. No QB has ever made his first career NFL start in the playoffs, and things could unfold similarly to last week in Denver against another stout defense. Houston boasts the top-ranked defense in terms of yards allowed, even without perhaps the best defensive player on the planet in J.J. Watt. Houston may not do much on offense, but the Raiders will do less. The Texans will back their way into a divisional round showdown with the Patriots by default. Pick: Texans. The Lions haven’t won a road playoff game since the Eisenhower administration. The Seahawks have won nine straight home playoff games. This one is easy, right? Well, it hasn’t been so easy lately for Seattle, which lost to Arizona at home then barely escaped the lowly 49ers last week. The Lions may be on a three-game losing streak, but it’s not as if they’ve lost to the Jaguars, Browns, and Rams. Instead, they’ve run into buzzsaws against the Giants, Cowboys, and Packers. All the pressure is on the Hawks at home against a Lions team that no one expected to be here after Calvin Johnson retired. Detroit may not pull the upset, but it will keep things close because nothing has come easy for the Seahawks in the past month. Pick: Lions. Count this one as a game with a big number that looks easy and, frankly, is easy. Matt Moore has done all he can to keep Miami afloat, but it won’t be nearly enough against the rested, talented Steelers. Jay Ajayi doesn’t figure to get anywhere near another 204-yard performance like he had in Week 6, and Moore won’t carry the Dolphins’ offense if that happens. Pittsburgh’s defense has been on a tear, and even if it has been against less-than-stellar quarterbacks, that trend will be on display Sunday. Pittsburgh is overdue in this spot after losing its last two home wild card games, while Miami’s last two road playoff games have resulted in two lopsided losses by a combined 89-7 score. Pick: Steelers. So the Giants are conjuring up memories of 2007 and 2011, you say? Perhaps, but the Packers are white-hot entering this matchup, winners of six straight after being left for dead at 4-6. Aaron Rodgers has regained his MVP form, and that’s bad news, even for the uber-talented Giants defense. Still, the Giants are not at all scared of going into Lambeau Field, having won there en route to victories in Super Bowls XLII and XLVI. The odds are that the third time will be a charm for the Packers, but also that it will come down to the wire. After all, Mike McCarthy has lost five playoff games on the final play during his head-coaching tenure, so perhaps karma will flip the script for the Cheeseheads this time around. Pick: Giants. Be the first to comment on "Playoff Picks Time: Streaking into January"